This may be the primary new feature, but the lengthy changelogs include a few other noteworthy additions. tinyCam is now Android 6.0-ready, even if none of our handsets are. The app can also record video to Amazon Cloud Drive and Microsoft OneDrive. In the settings menu, you will find options for autodetecting networks, TV recommendations, and a handful of Tasker actions. Internal web server for recordings remote access when the app is active or in background recording mode (new option in App Settings). See how it works in the video below. If you experiencing video playback issue try to use another web browser. Microsoft Edge from Windows 10 or Google Chrome are recommended. 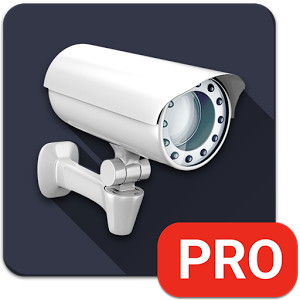 Revamped Manage Cameras window with more material design. Use the new "+" floating button to add/scan/import/export cameras. Improved navigation in live view by means of combobox. Added cloud recording to Amazon Cloud Drive and Microsoft OneDrive. HEVC/H.265 video decoder (both software and hardware). When using H.265 expect up to 2 times better compression (less network traffic usage) but 3 times more CPU/GPU usage comparing to H.264 with the same quality. Pause/resume buttons in background audio notification. It allows temporarily put on hold background monitoring, e.g. when you go to the baby to check, and then resume when you are back. Improved face detection with better face tracking if the latest Google Play Services 7.8 installed. Less false alarms. Support for upcoming Android 6.0. Autodetect home/away network. If this option is disabled you should see additional Home network switch at app left slide menu. Use this setting if you experiencing connection issue when using public WiFi network. Hide rec & audio in single layout. Allows to completely remove on screen buttons in full screen layout. TV recommendations (Android TV only). Allows disable pushing last using camera to recommendations list. "Autodetect home/away network". For example, you can make automatic switching home/away network in the app depending on WiFi SSID your Android device is connected to or using GPS coordinates. Romanian and Slovenian translations. Now the app is translated to 18 languages! Pretty cool stuff, which is what you would expect from a developer that lets you watch recordings from your smartwatch. You need the $4 pro version to enjoy this functionality, which you can get from the link below.